Congratulations! Reward your hard work with a new car through the Volkswagen College Graduate Program! We think graduating college is an achievement worth rewarding. Nobody understands that as well as Volkswagen. That’s why we’re offering the Volkswagen College Graduate Program to help you celebrate in style. With the Volkswagen College Graduate Program, college graduates are offered special deals on buying and leasing new Volkswagen vehicles. 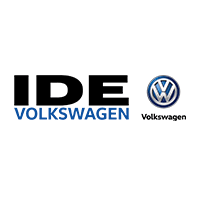 Here at Ide Volkswagen of East Rochester, we’re happy to help with any questions you may have about the program. · Receive a $750 Contract Bonus (For the month of May 2018) when you purchase or lease any new Volkswagen vehicle through Volkswagen Credit. · Get competitive rates even if you have a limited credit history. · No security deposit is required on a new lease. * Graduate in the next six months OR have graduated in the past 24 months from an accredited college in the US or Canada. If you meet these requirements, stop by here at Ide Volkswagen to apply. When you visit, be sure to bring a copy of your degree or transcript and contact information for your college or university. You’ll also need a copy of proof of income and permanent full-time employment. We’ll also require you to bring in the name and number of a contact in human resources or payroll. In addition, you’ll need contact info for two personal references. One of your contacts must be a relative. You’ve done all of the hard work, now let us congratulate you. If you have any questions, feel free to contact us here through our site, by phone or stop by Ide Volkswagen and talk with one of our expert VW Sales & Leasing Consultants. We look forward to watching you drive off in your new Volkswagen! You chose a college, a major, and a job. This decision should be a piece of cake. Think about which option best fits your lifestyle. Whatever road you decide to take, Volkswagen Credit will be with you at every turn. You’ve just finished four years (more or less) of hard work, and you deserve to continue your journey in a Volkswagen. Visit Ide Volkswagen of East Rochester and see if you qualify for this program.